opportunity to live among like minded people. These luxury homes are plentiful, with over 200 selections and a number of acres. This neighborhood is adjacent to a number of parks and nature trails, including William B. Umstead Park. There are a number of luxury homes within this neighborhood, which begin at $600,000. When this is what you are looking for, be sure to reach out to a Realtor who can help you out. This neighborhood is adjacent to route 70 and is close to Triangle Drive. There are a number of people in the neighborhood who attend or work at one of the nearby universities, including University of North Carolina, Duke and a number of other schools. This is an ideal place for people who live and work in the area and can provide people with a nice retreat from their busy, every day lives. No matter what line of work you live in, you will find the opportunity to take part in a number of events, visit a lot of attractions and take in the picturesque scenery. The neighborhood is close to Dunnaway Pond, Lake Anne, Umstead Park Lake Upper and a number of other areas. This area also ranks highly as one of the most ideal places for retirement, if you are looking to settle down and enjoy the rest of your years. When this is what you’re looking for, make sure to do your research. There are number of opportunities that will allow you to settle down and purchase the property choice. Takes you getting in touch with a knowledgeable and professional Realtor who knows the situation understands the area. This area, known as the triangle area is known for its educational opportunities and upward mobile residents. There are number of properties available in this particular neighborhood, which ensure that you will get a great deal on some land and a building that you will be glad to call your home. The scenic outdoor area, young professional scene and beautiful city of Raleigh make it an excellent place for people looking to buy a home. There are a number of schools in the area that children can take advantage of in order to prepare themselves for college. 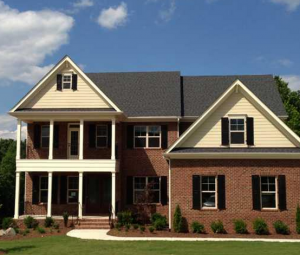 The neighborhood is excellent in terms of quality of life and will allow people to leave in peace and tranquility, while also taking advantage of everything that the Raleigh area has to off for a home buyer.